- Vehicle parts are a product of Italeri. - Using the original M109 kit as a base, this model accurately captures M109A3G-specific features such as the cupola, smoke dischargers, storage boxes and FH70 gun. - Moldings have been sharpened up to depict previously missing or unclear features such as the panoramic telescope, and to give a better parts fit. - Drive sprocket center caps are now captured by new, separate parts. - Tracks accurately depict Bundeswehr parts and now use cement- and paintable material. 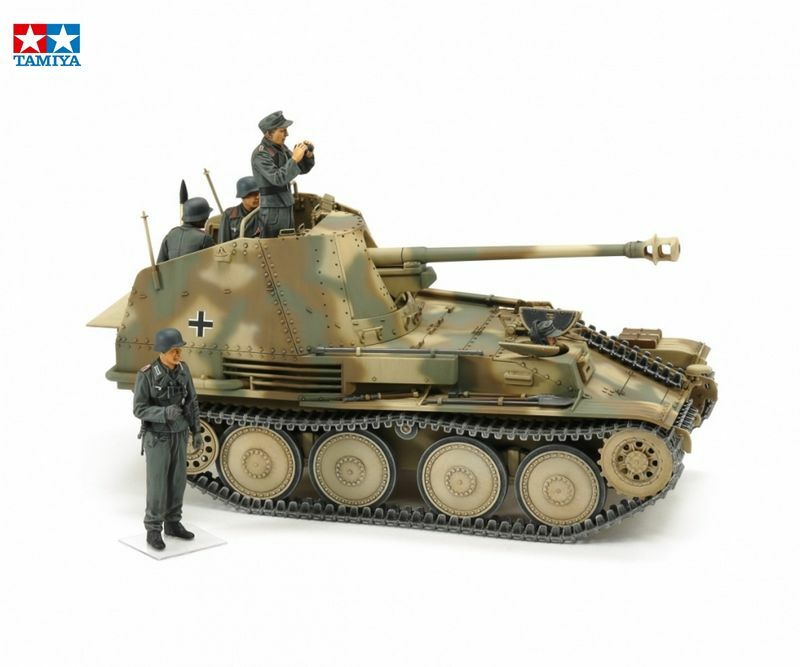 - Tamiya commander and gunner figures are included, with new base from Italeri. - 2 Tamiya marking options and a new Tamiya instruction manual are included. Es ist noch keine Bewertung für Tamiya 1:35 WWII Deutscher Jagdpanzer Marder III Normandie Bausatz 35364 abgegeben worden.